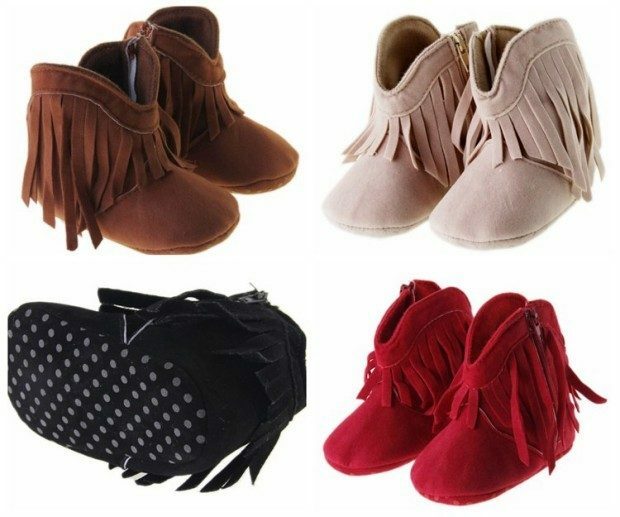 PU Leather Baby Boots Only $8.24 Shipped! You are here: Home / Great Deals / Christmas Deals / PU Leather Baby Boots Only $8.24 Shipped! These are so cute! Order these sweet little PU Leather Baby Boots for Only $8.24! Ships FREE! Available in 3 sizes to fit newborn to 24 months and available in 4 colors!